Our oak, mahogany, teak and pine bedroom wardrobes are hand crafted in Nottingham and can be finished in a wax, lime wax, varnish or painted. 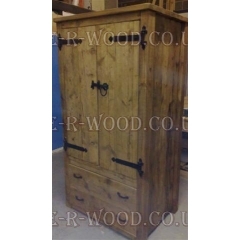 Can be complimented with our beds, bedside cabinets, chest of drawers and dressing tables. 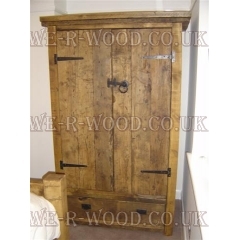 1900h x 600w x 660d Our hand crafted, hand finished wooden bespoke 3 x 3 Post Single Wardrobe can..
1900h x 1845w x 660d Our hand crafted, hand finished wooden bespoke 3 x 3 Post Wardrobes can be f.. 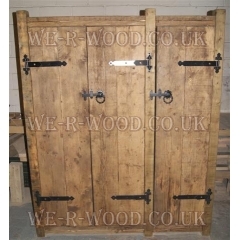 Double with long drawer - 1900h x 1200w x 660d Our hand crafted Wardrobe double lond drawer, hand.. 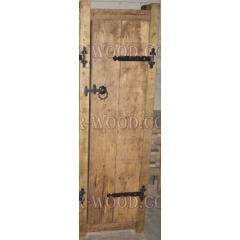 Single with long drawer - 1900h x 1200w x 660d Our hand crafted, hand finished wooden bespoke War..
Our hand crafted, hand finished wooden bespoke 3 x 3 Post Double Wardrobe can be finished in wax, li..